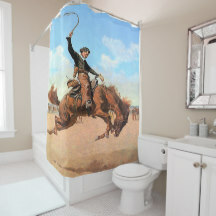 Western home decor bathroom shower curtains. 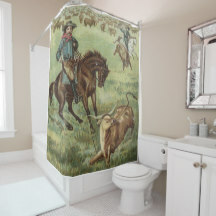 Shower curtains with western theme prints. 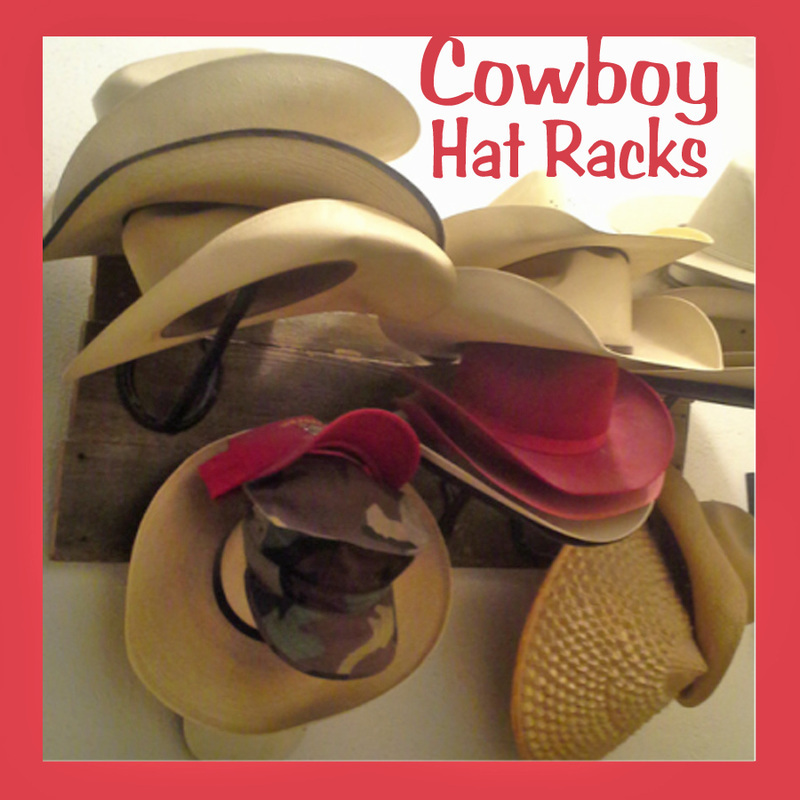 Cowboy, cowgirl, rodeo, wild west, vintage western,horses, boots, spurs and other western designs. 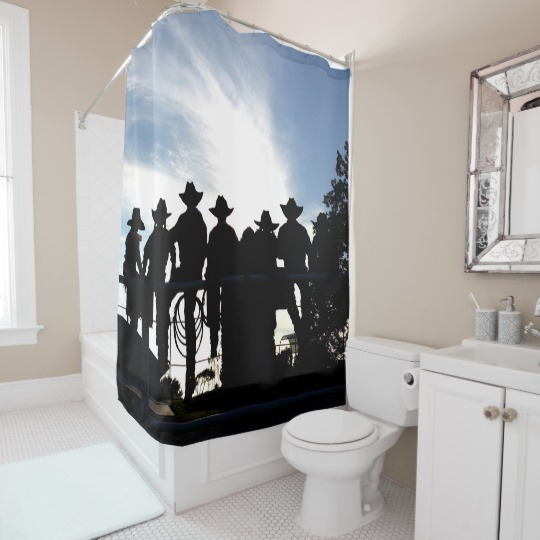 Cowboy Prayer Shower Curtain, barrel racer, bronc rider, horses and all things western. 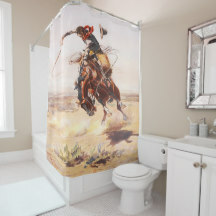 If you like western decor, but just haven't figured out how that can carry over into your bathroom, try updating your shower curtain. 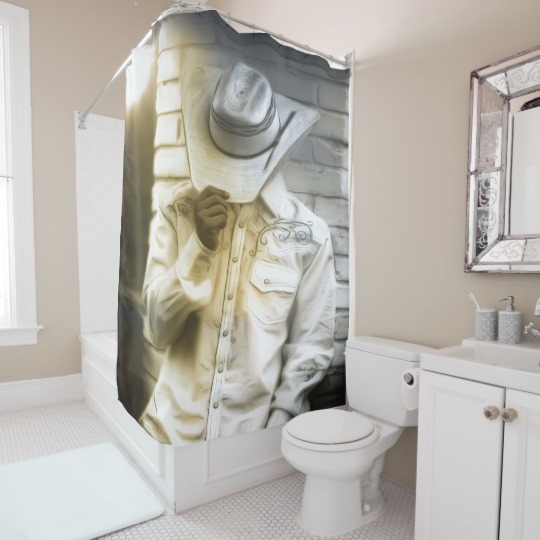 First of all you will have solved the problem of hanging pictures, especially those you don't want to be damaged by steam and humidity that is created from the shower. You can find a design that will coordinate with bathroom accessories that you already have or start from scratch and deck out a really unique bath space. 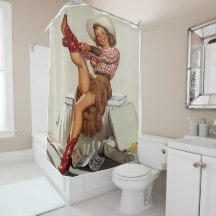 I have several of my own designs and vintage photos as well as vintage western prints from old movie posters, books and and other prints that are now in the public domain. 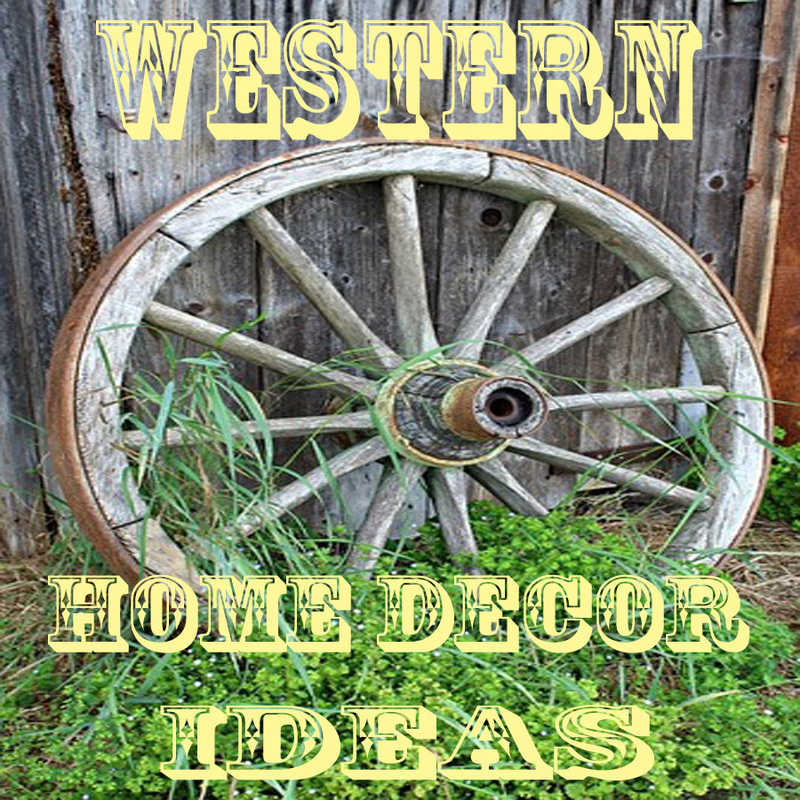 These are available in the Western Home Decor section of my RODEO DAYS store. 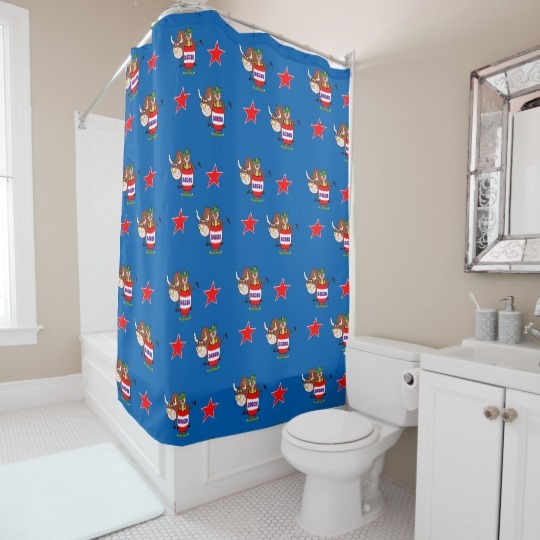 These shower curtains are printed one at a time as they are ordered and that allows for customization. In some cases, background colors or text can be added or changed using the customize button on that page. 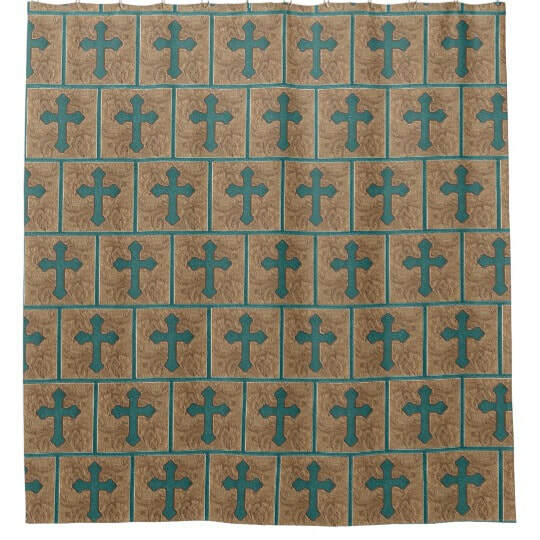 These curtains with barn wood print crosses for example can have the background color changed to any color you prefer. Below are some of the designs available to give you an idea. 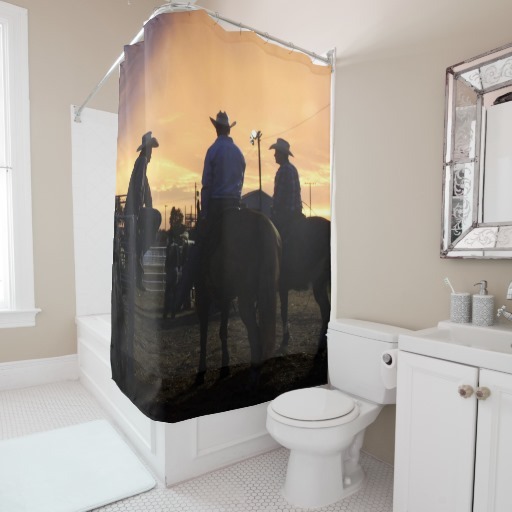 Visit the Rodeo Days store to see more shower curtains and accessories. . 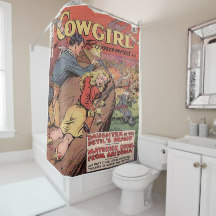 I love these vintage cowgirl prints and like cut them out and change up the backgrounds sometimes like this one I recently finished. 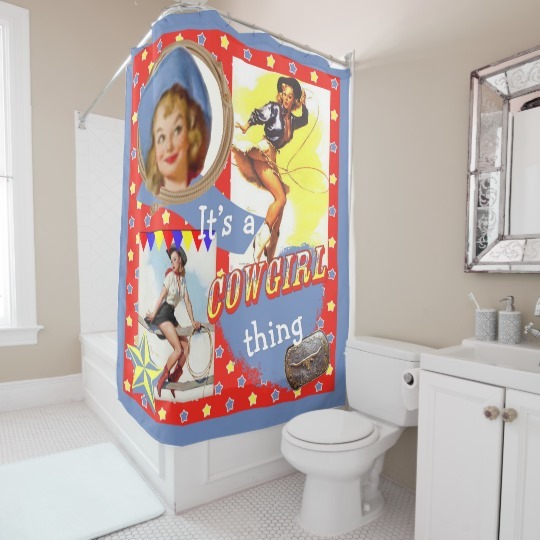 It is available on shower curtains, bath math, bath sets with lotions dispenser and toothbrush holder and also bathroom scales. 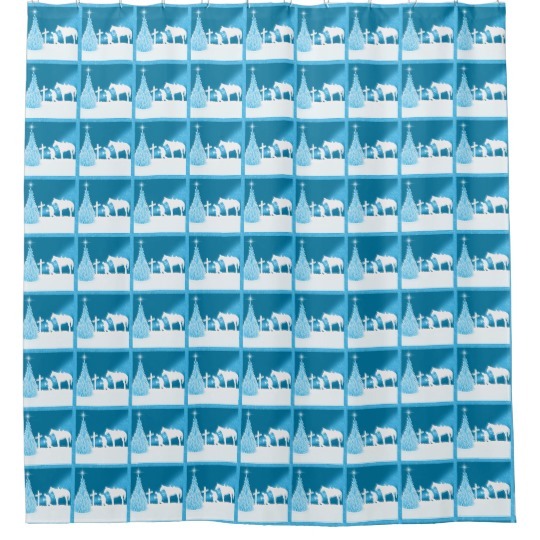 Many of the shower curtains have matching or coordinating bath mats and bath sets with tooth brush holder and soap or lotion dispenser. 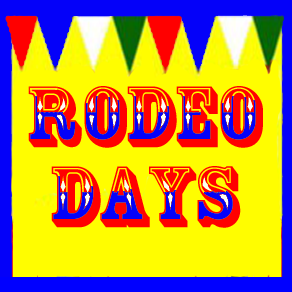 There are rodeo designs that feature specific events like bull riding, barrel racing only and some designs that multiple events within the design. 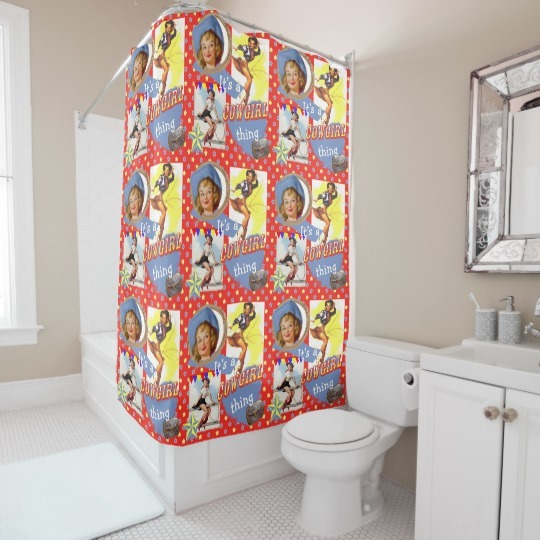 The print on the shower curtain below is in a smaller scale so it's a little hard to see in this picture. Next to it is a close up of the pattern. 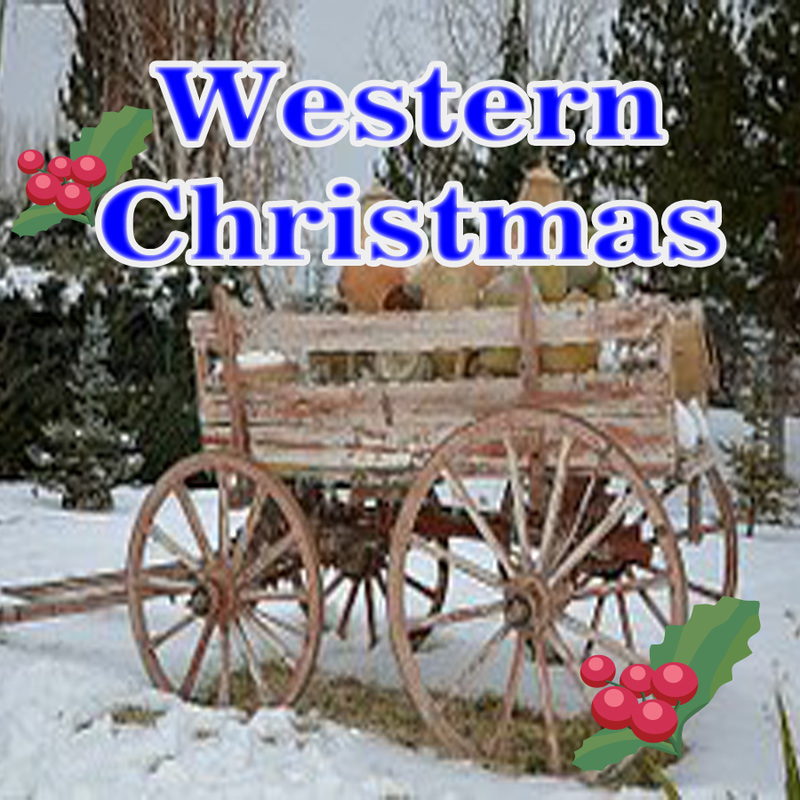 It is available with several different events. 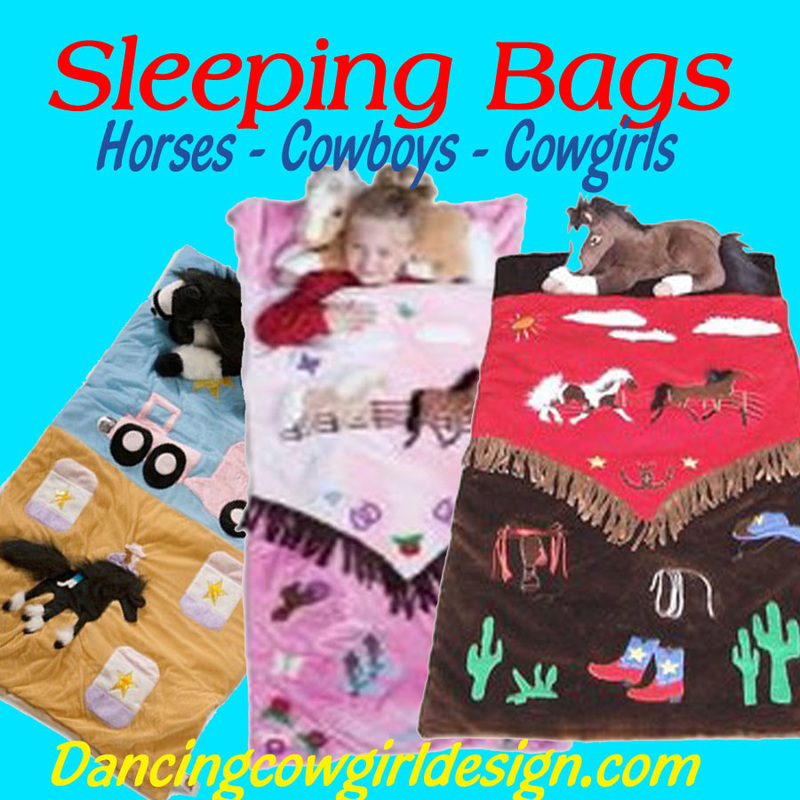 Western cartoon kids, rodeo clowns, mutton busters, cowgirl princess and other fun designs that kids will enjoy. Unique prints featuring things like barn wood, leather, denim and hay. These leather print shower curtains are available in large, medium and small print versions. I have taken some of my family photos like my grand kids on the fence at the rodeo and computer enhanced it to have a water color look. Then there is my mom as a little girl in the 1940's posing on a pony and old trail ride photos that include my grandfather. 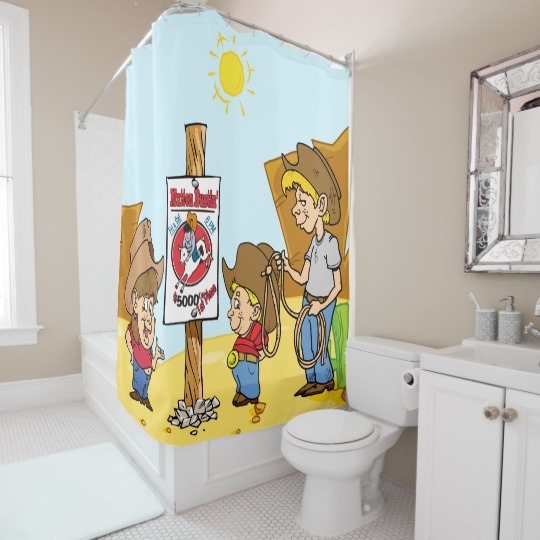 The western holiday theme shower curtains can be found withing the Western Christmas section at Rodeo Days. 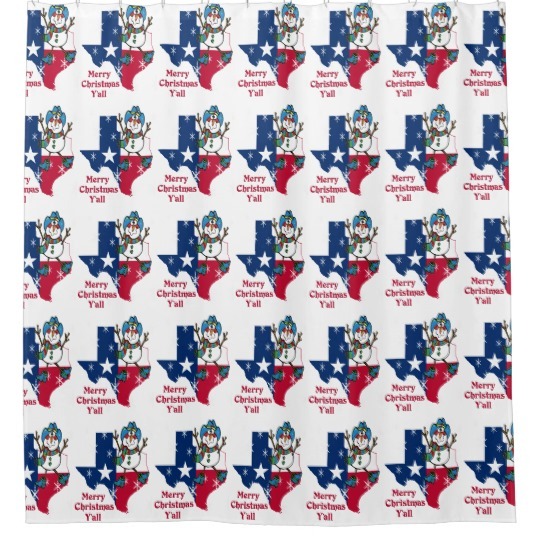 Some of the designs include a praying cowboy in a snow scene, gold horses, Christmas cows, a Texas snowman and more. See them all here. 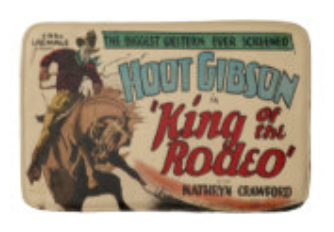 Many of these prints are also available on a number of different items in the Rodeo Days Store. 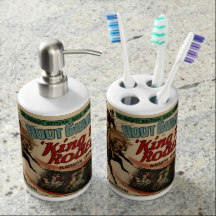 Greeting cards, gift wrap, posters, coasters... well the list goes on.